A construction boom in China more than a century ago resulted in new railways and factories—and the accidental discovery of scores of rich ancient cemeteries. Buried in these tombs for thousands of years were jewelry and ritual objects, all laboriously crafted from jade. When Charles Lang Freer acquired many of them, their precise age was unknown. The modern science of archaeology was not practiced in China until 1928, when the Smithsonian sponsored its introduction. With the advent of archaeology came a better appreciation of the evolution of ancient Chinese mortuary culture and China’s art history. 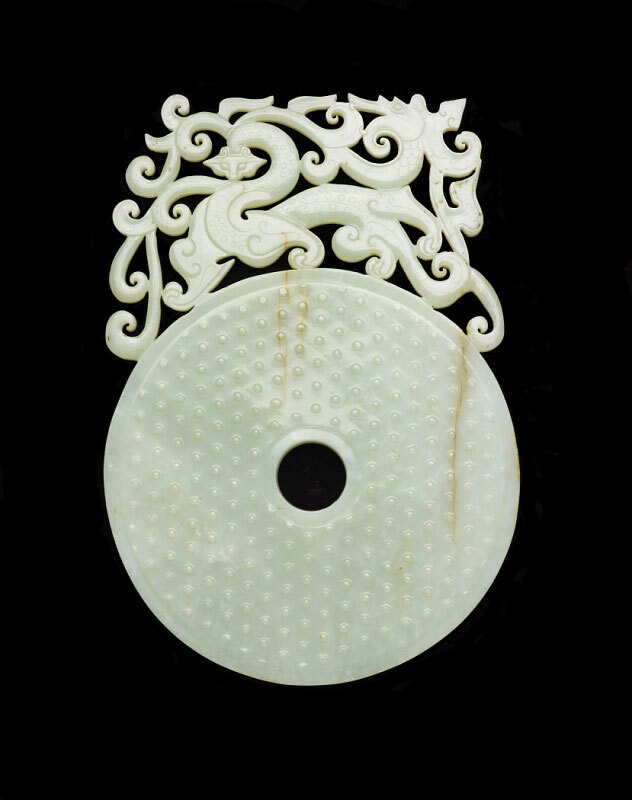 Today we know these jades represent the earliest epochs of Chinese civilization, the late Neolithic and early Bronze Age. Many came from the prehistoric burials of the Liangzhu culture (circa 3300–2250 BCE). These Stone Age people flourished in a large, fertile region between the modern cities of Shanghai, Hangzhou, and Nanjing. The graves they left behind now function like time capsules, providing insight into the dynamic character of ancient Chinese civilization during life and after death.